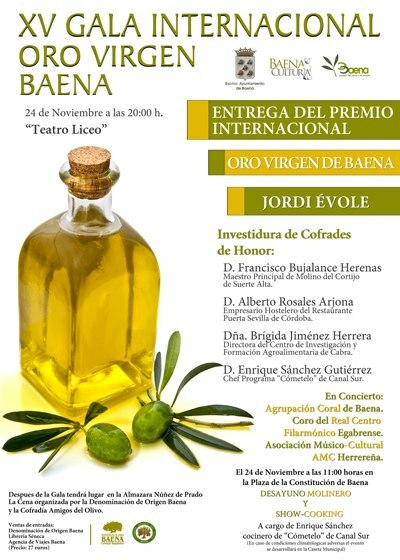 Baena´s 15th Olive Oil Festival to celebrate the harvest, in one of the two Andalucían Denomination of Origin areas, is to be held between November 22-28 this year. 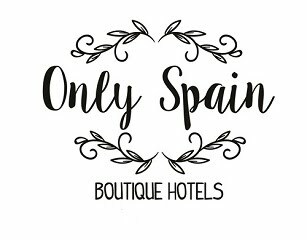 Baena´s oil is considered to be some of the best in the world and I hope to pop along and sample some along with food, wine, cookery classes, local music and some of the traditional tapas on offer in the local bars and restaurants. 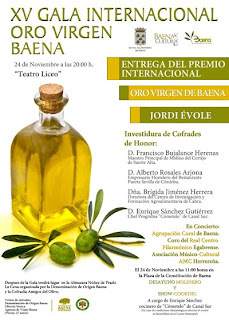 Baena also has an old olive mill the Museo del Olivar y el Aceite which displays the one-thousand year history of how olive oil was traditionally milled - I hope to get there too.